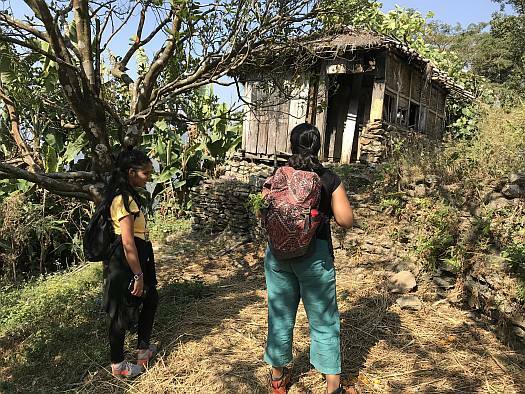 A holiday at any of the homestays at Samthar is about just relaxing, watching the clouds drift by, and the hill folks lead their leisurely life. Take in the sunrise and sunset views, and marvel at the bright starlit sky, while you listen to the silence. For the energetic, the surrounding area is ideal for a walking holiday, and for mountain biking. 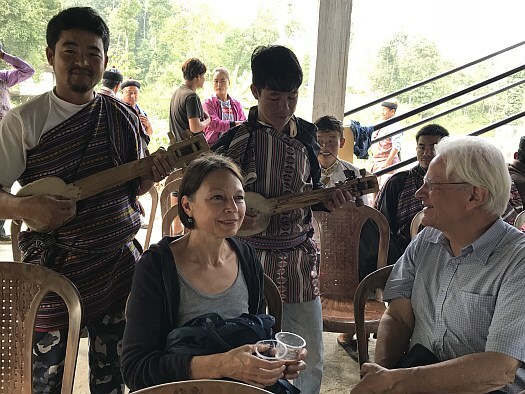 Away from crowds, you can visit ethnic villages inhabited by friendly Lepcha, and Nepali families, who practice Hinduism, Christianity, and Budhism, and live together as an integrated, happy community. Watch all the rural activities, peep into mountain lifestyles and learn how to make Chang (Millet beer), bamboo baskets, straw mats, take cooking lessons and more. Our local English-speaking guide will introduce you to the local folks. We have several one – day easy to moderate hikes available. The choice enables all age groups to enjoy the countryside. Trails lead to ethnic homesteads, forests, meandering mountain streams, deep valleys, a 100 year old Lepcha temple, and a catholic mission. The views are great, and the photo opportunities are many. 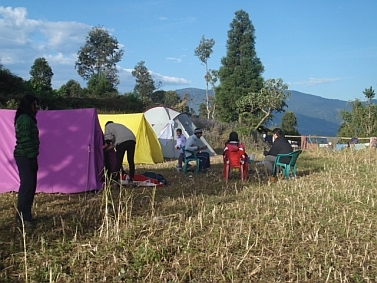 Our home stay tours provide a unique, relaxed and fulfilling holiday; which is an opportunity to explore rural lifestyles, interact with rural people, and enjoy a relaxed holiday in serene and scenic environment amongst friendly people. 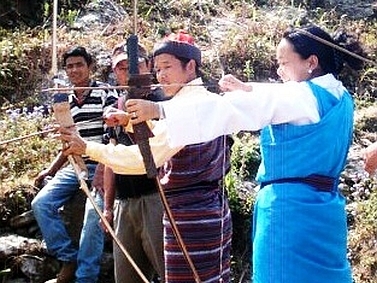 Guests can also learn some village skills and try their hand at village chores. All tours are tailored to your preference. You will be staying at genuine home stays; where you and your companion/ family members will be the sole guests and will enjoy personal contact and privacy. 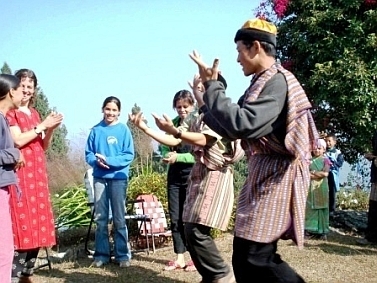 There is plenty of opportunity to interact with the local folks, participate in village feast, singing and dancing, archery and more.